Dimensions 1.70 by 6.10 by 5.20 in. Amazon.com description: Product Description: The cartoons of The New Yorker have entertained the magazine's readers for nearly a century. With unmatched visual sophistication and wit, they let no subject escape their scrutiny. A roster of extraordinary artists continues to create indelible images that vary in style and tone, whether whimsical, provocative, serene, or laugh-out-loud funny. The New Yorker's cartoons are always the talk of the town. 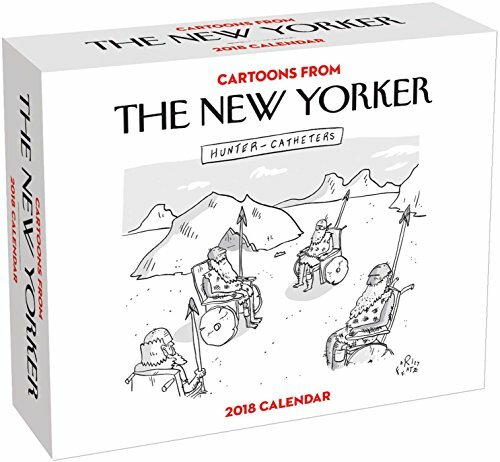 Each page of the Cartoons from The New Yorker 2018 Day-to-Day Calendar features a humorous cartoon from The New Yorker.